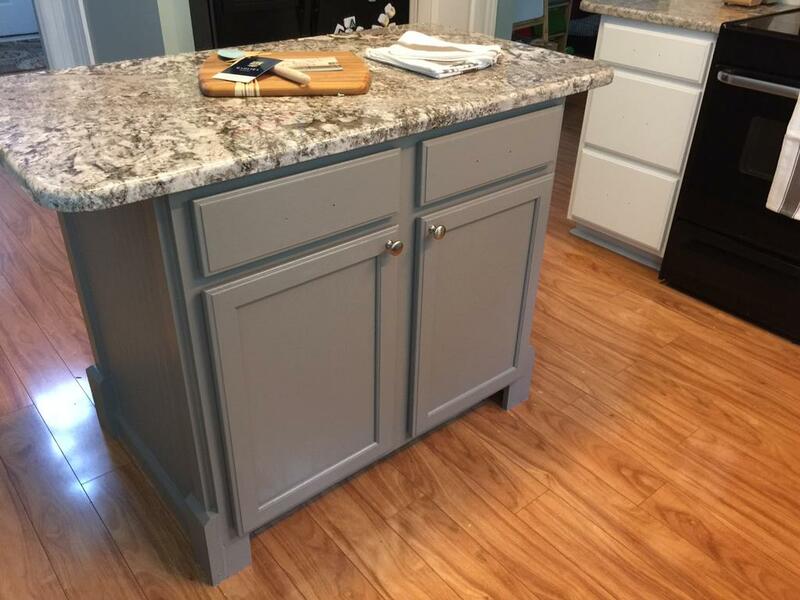 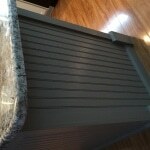 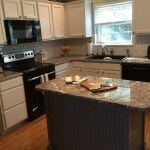 Bye bye builder grade cabinets and island. 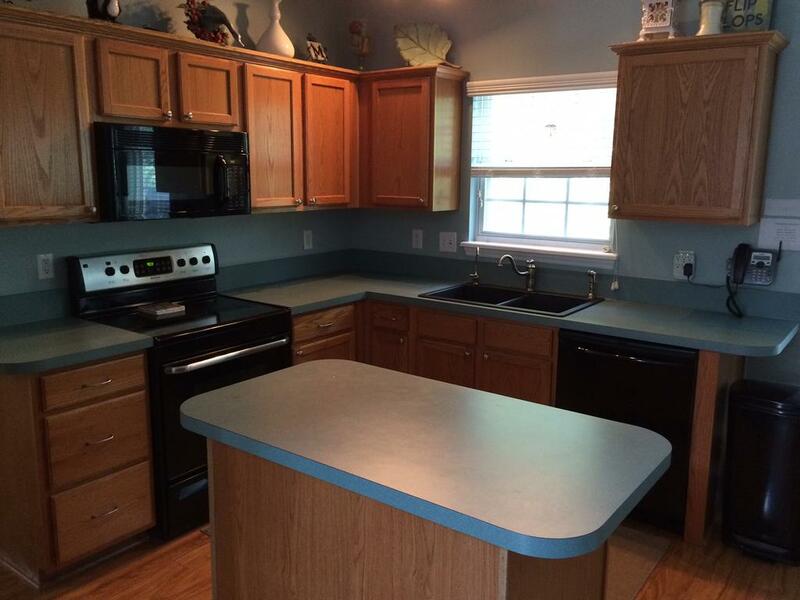 This kitchen needed to be brightened. 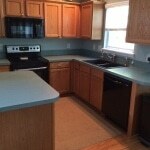 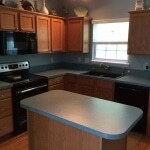 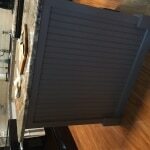 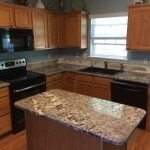 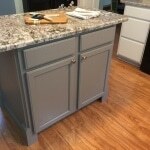 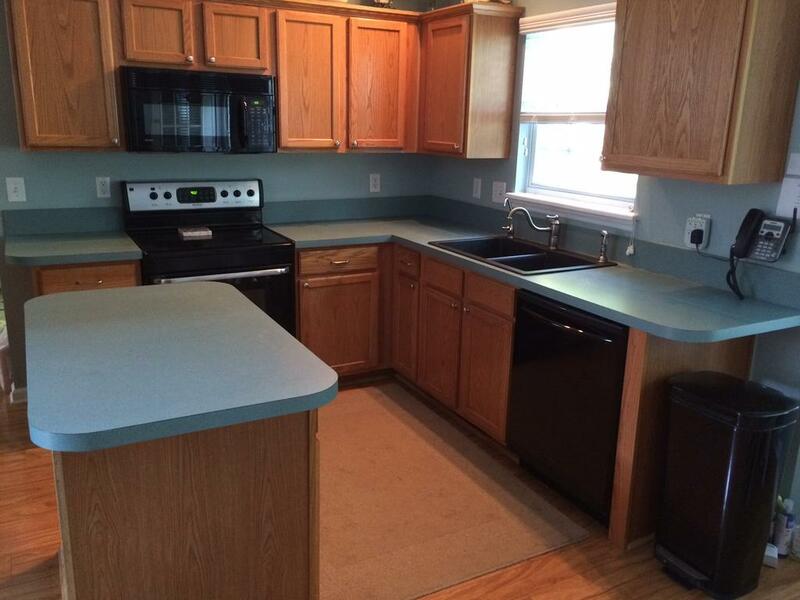 The oak cabinets and green counter made it so dark and dreary, not to mention dated. 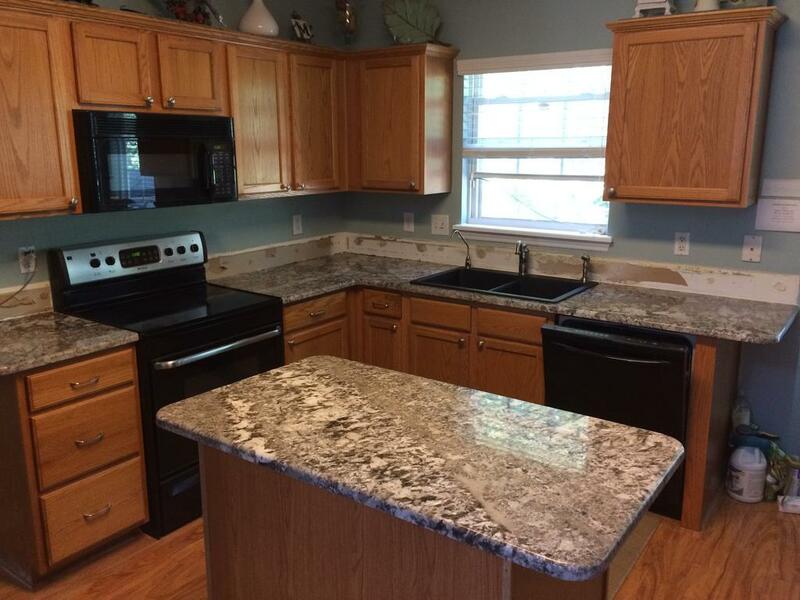 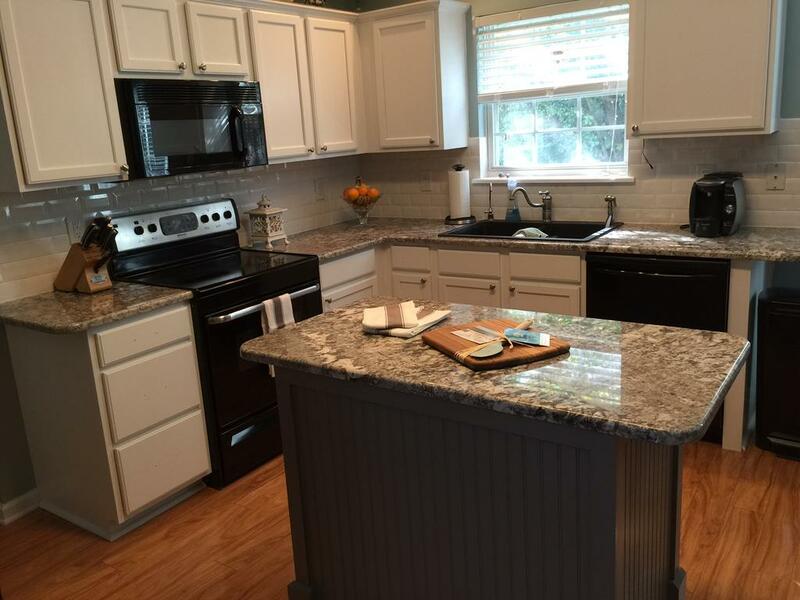 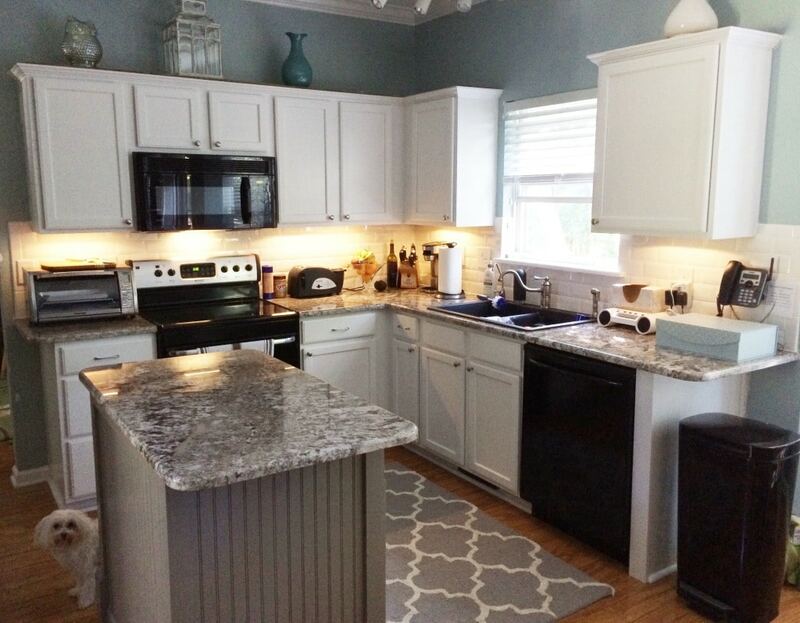 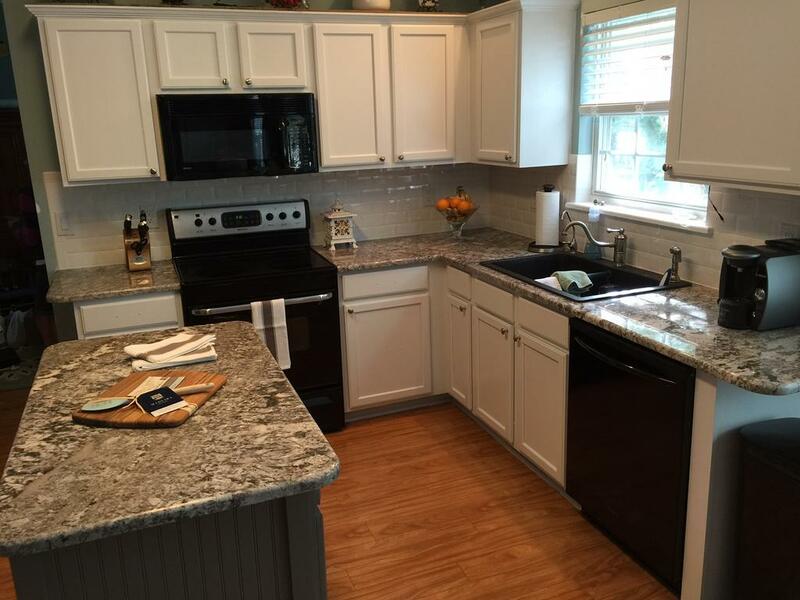 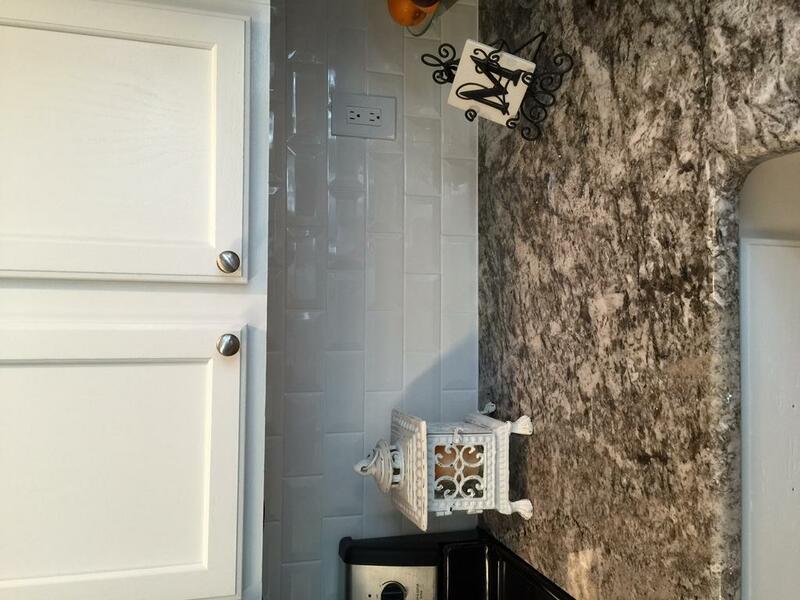 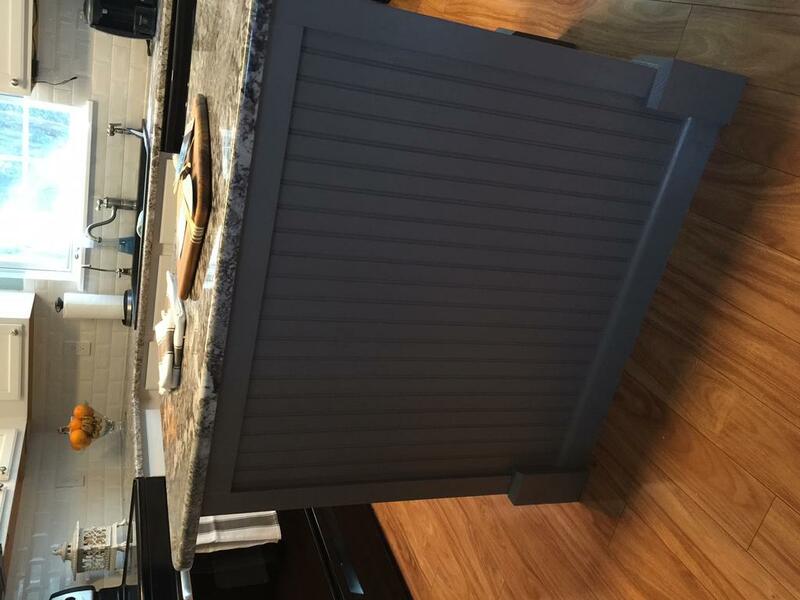 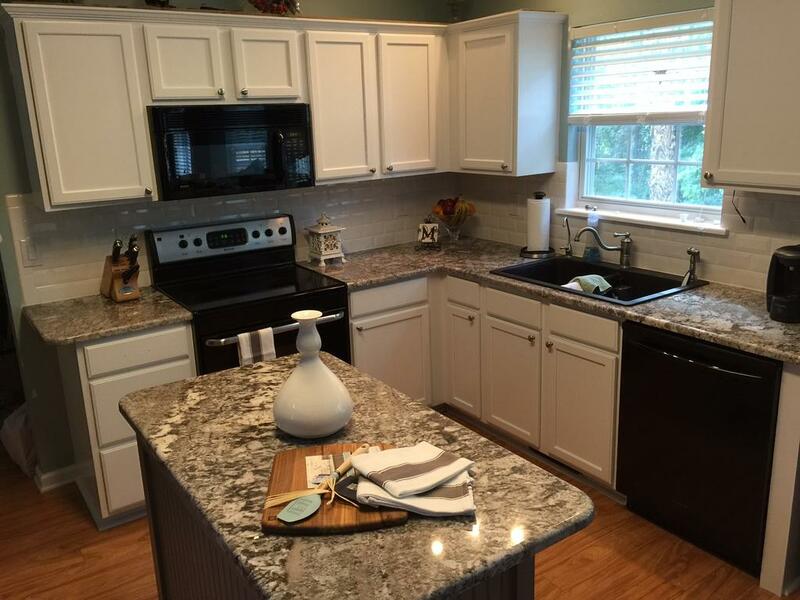 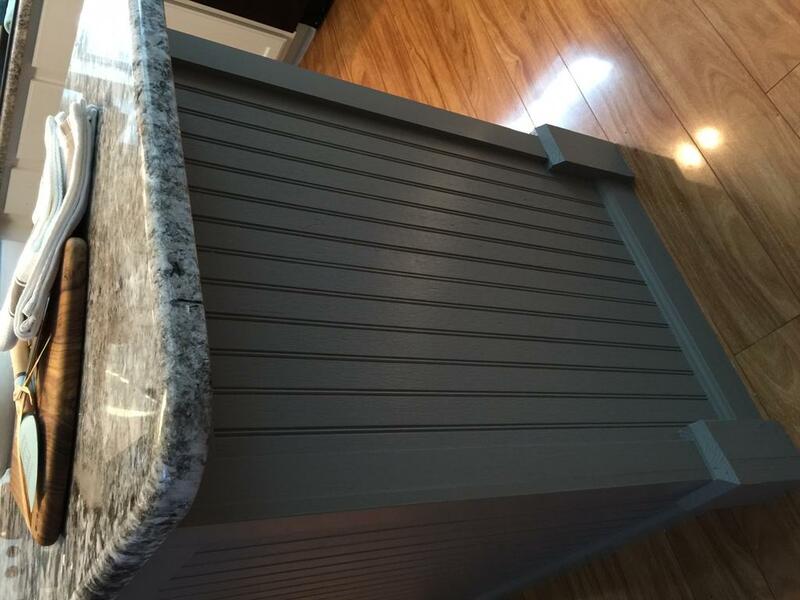 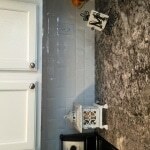 The homeowners had new gray & white toned granite installed, then added some gorgeous white subway tiles on the backsplash. 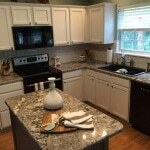 So we finished things off by brightening up the cabinets with Pure White. 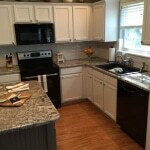 Now it’s so clean and fresh looking.